FREE ARTIST TALK: Sunday 14 May, 12-1pm including give away of tube Red Cedar trees to those who have a place to plant and look after them. 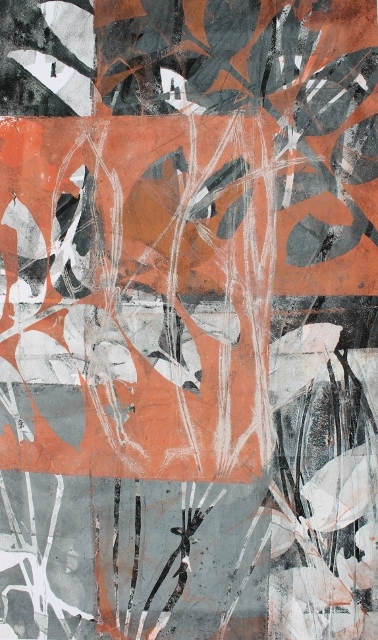 Please note: Helene Leane's large framed monotype works Red Gold #1 - #11 are $950.00 each // 2 x $1600.00 ($800.00 each) // 3 x $2000.00 ($667.00 each). Other works range from $230.00 - $450.00. Please contact the gallery if any other further information required info@gallery139.com.au. 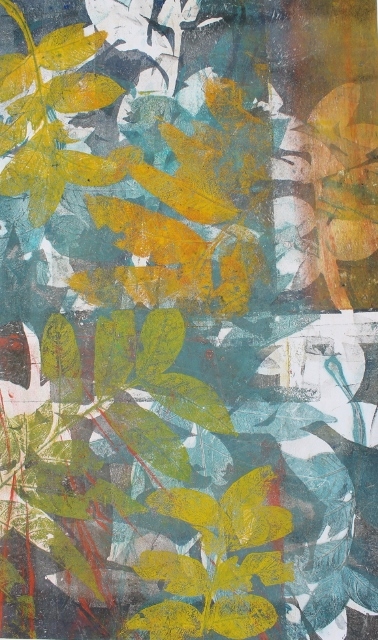 This is Helene's third solo exhibition as a Gallery 139 Artist. A recent move to the Hunter Valley, to the district where the majestic Australian Red Cedar Tree once called home, has informed the making of this series. 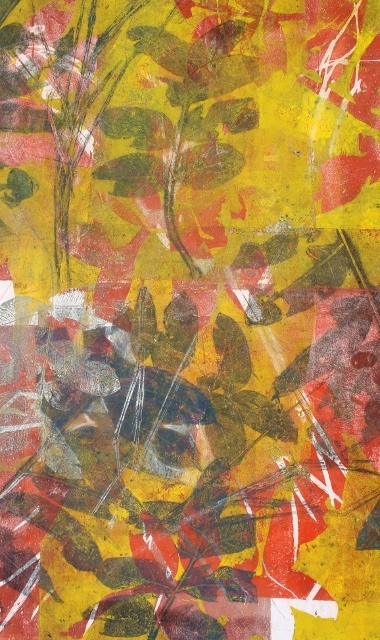 Including Helene's signature monotype prints, abstract encaustic and small-scale paintings. 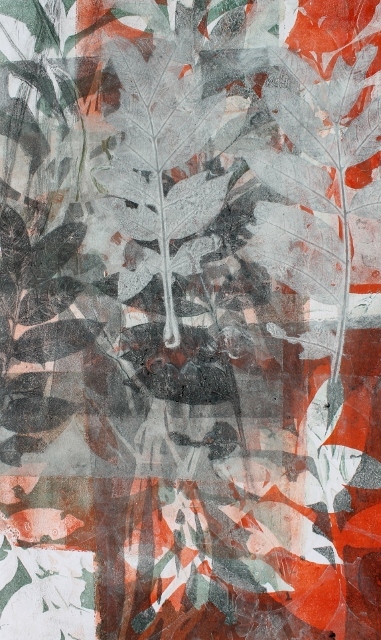 A selection of this series was exhibited at Janet Clayton Gallery earlier this year, for this exhibition, Helene brings the entire series to Gallery 139 which includes monotypes, encaustics and paintings. 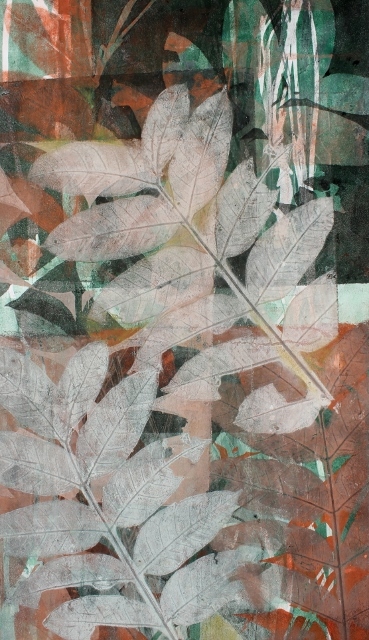 HELENE Leane has found an ideal subject for her skilfully layered monotypes in the leaves of the cedar tree. Once common in the rainforest valleys of Eastern Australia, this imposing tree has become increasingly rare since furniture makers first discovered the potential of its easily worked warm-hued timber soon after the first European settlement. 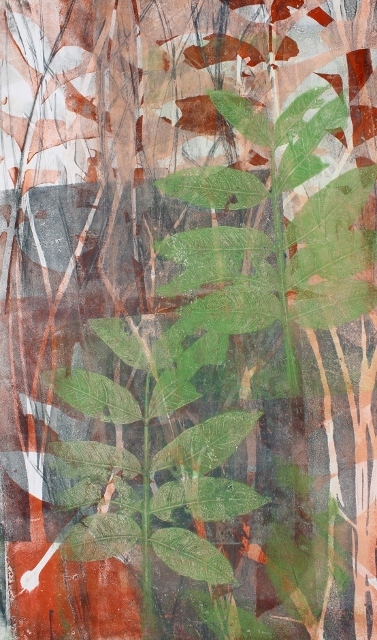 Helene Leane’s paints can only hint at this cultural background, while focusing on the large handsome leaves with their composite structure. Her new show is at Gallery 139 in Hamilton. Many of these works were shown recently in Sydney. 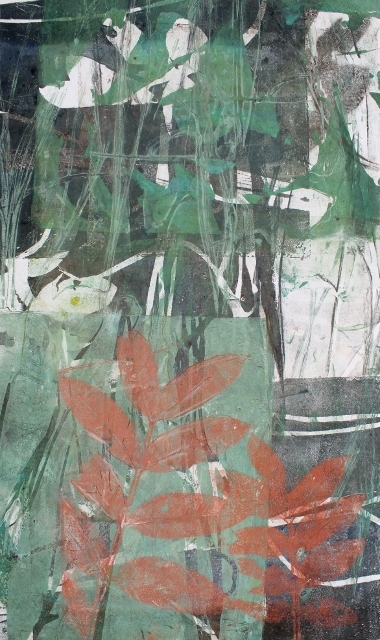 A wall of small paintings compensate for the lack of the unifying leaf with misty distances and hints of landform.